Clacton on Sea - a seaside resort with promenade, hotels, amusement arcades and candy floss. A place to retire, a place to relax and have fun. All of this is true and I saw it today as I was driven along the sea front by Anne Brown (Chair of the Bedfordshire, Essex & Hertfordshire District). The sun was shining, the wind farms glowed on the horizon - a typical resort in late January. We drove into the town centre and went to Trinity Methodist Church where the Grub Club is open every Monday at lunch-time. Just inside the door was Liz, the manager of the Christian book shop in the church which is open every day. She was with a man who was very interested in the beautiful cross I was wearing - the Presidential Cross. We talked about the symbol of the bowl and towel and he said that he had once owned a shop in Colchester, so knew about precious metals. One of the ministers of Trinity (and Superintendent Minister of the Circuit), Andrew Bell took us through to the hall where the Grub Club was just opening. 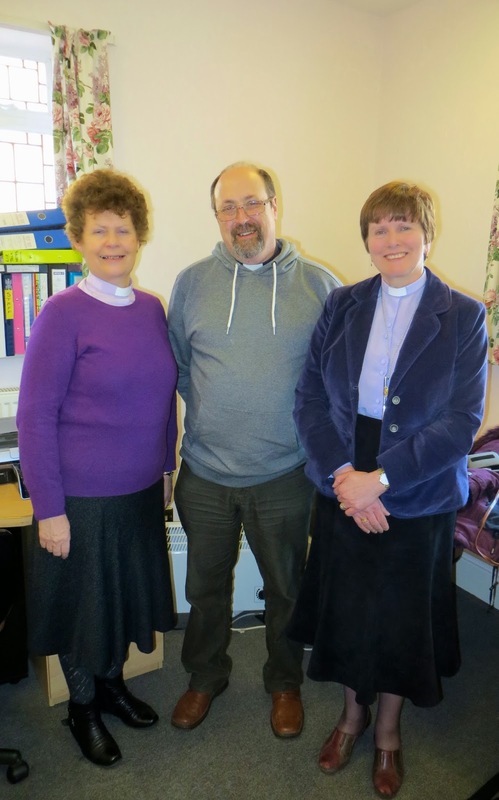 There is also a deacon on the ministerial team who works in the Clacton area (Deacon Janet Jenkins). Each week up to 80 people come to the Grub Club for a 3 course cooked meal. The meal is made by a team of people from food donated by a local supermarket. Of course, they can only decide on the menu when they see the ingredients they have been given. Today there was a vegetable and lentil soup, Pasta in a savoury sauce with the most wonderful roast potatoes and fruit crumble with custard. Also on offer was cheese and biscuits (it was Wensleydale cheese with figs) and Danish pastries. Everyone was served at the tables and everyone had plenty. Left-overs were put into tubs for people to take away with them. It was a good, nourishing meal and it was free. The diners included many who are homeless or living in poverty for whom this is the one guaranteed meal of the week, among them are often people with mental health issues or disabilities. 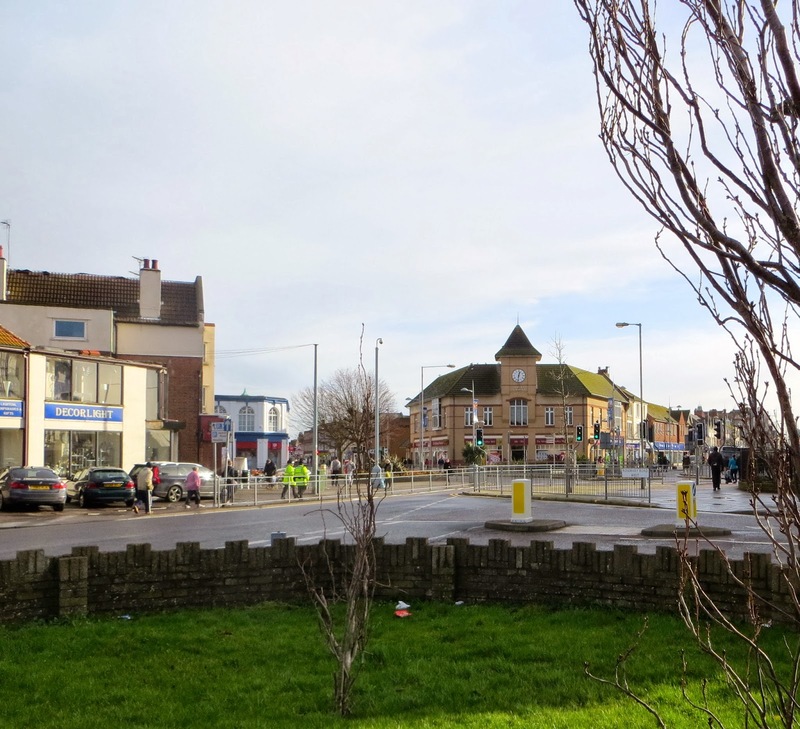 The streets of Clacton on Sea are home to many who are housed in hostels or in converted victorian hotels where they have to leave their room in the early morning and cannot return until the evening. Let me share two stories with you. One regular attender was not at the Grub Club today because he has now found work. The church have subsidised him to pay his fares for travel until he has been paid otherwise he would not have been able to get there. A few weeks ago he lost his benefit because he had not attended a medical on the day of his mother's funeral. In order to reclaim the benefit he needed to make a phone call to another part of England, premium rates were charged and the music that was played while on hold lasted 10 minutes. Fortunately the church was able to help with the phone calls - few people on benefits could afford these rates. Another young man was in the Grub Club for the first time. He had been placed in a room - an unfurnished room with no electricity. After 3 days of sitting on his own in a cold dark room he had plucked up courage to come along to the church, just to find some-one to talk to. He found company and also enjoyed a meal. 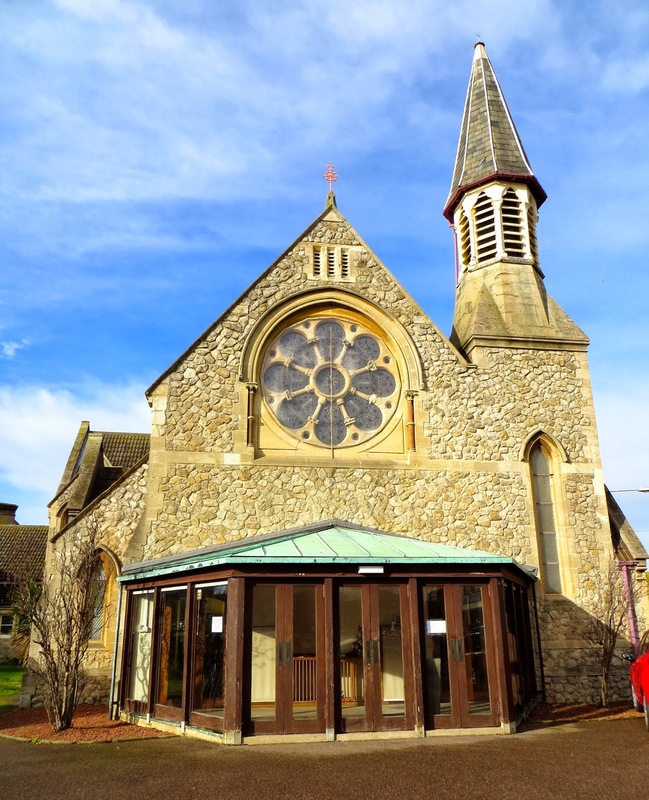 The Grub Club, a branch of Food Cycle, is just one of the ways on which the church in Clacton on Sea is serving the community. 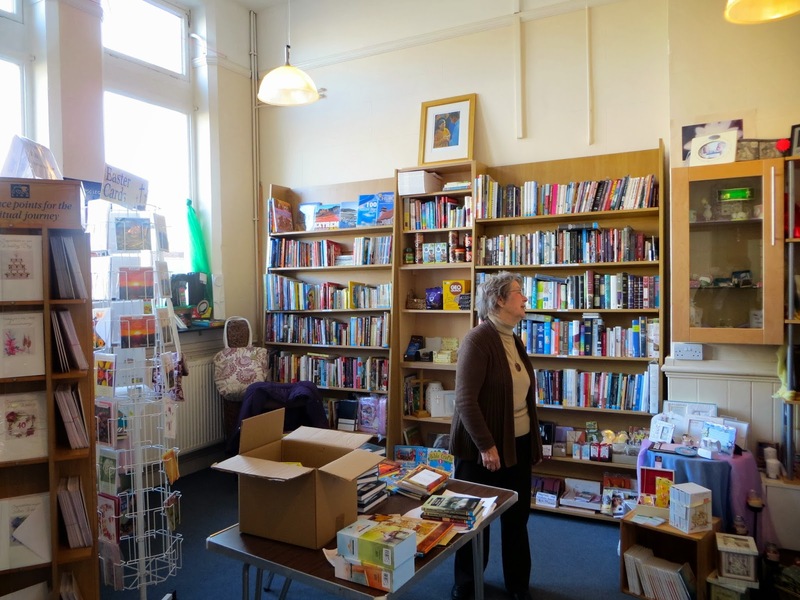 On the way out we visited the book shop, often the first port of call for people seeking a listening ear or other support. As we left I felt angry that there are so many in leadership roles in local and national government who deny people their dignity when they find themselves in difficult circumstances. I also felt huge admiration and gratitude for those who willingly give much of their time to listen and support others. In the Grub Club those who are eating are served at the table with respect and listened to with care. Did I glimpse the glory of God here? I did. I glimpsed glory as I met the volunteers, as I talked with Andrew and as I talked to some of those who were eating their lunch. The streets of Clacton on Sea are not paved with gold but there are caring Christians to be found there who accord others proper dignity and respect. Glory indeed.